Unique Moments Photography of Gig Harbor Washington created this image in the late fall season when all the leaves were off the trees.The girls saw the guys doing some gun shots and they wanted one as well. Why Not? It Turned out super cute and it was way different than the normal girl shots that we take at weddings. Two of the girls were law enforcement officers. They knew how to handle a shotgun. Anyway a fun image with the bridal party. 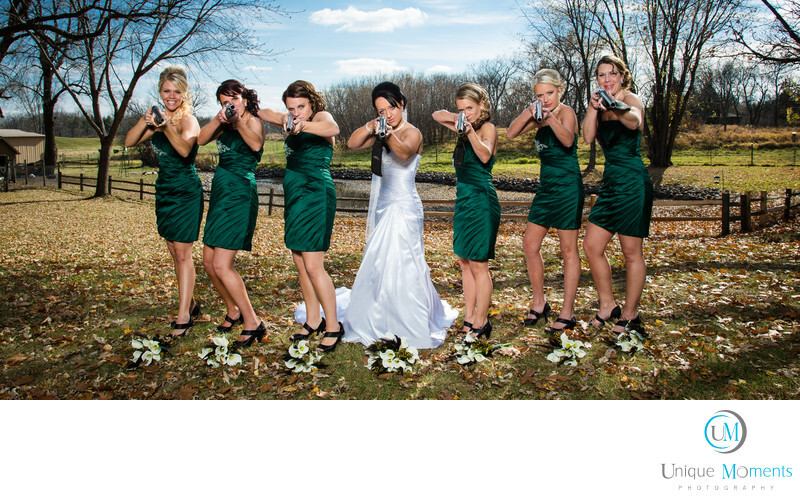 We always keep an open mind when its time to have a little fun with the bridal party.